The Songs and Stories series aims to highlight musicians and artists from within San Diego’s refugee communities. Through lively performances and real conversations, the CWM hopes to immerse audiences in the cultures and journeys of a seldom heard segment of the vibrant and diverse fabric of San Diego’s population. Please join us in celebrating musicians from the Middle East at the Logan Heights Branch Library. Parking is limited. On street parking is available. Dlan Dary was born in the city of Al-Hasakah, Syria on Jan 1st, 2001. At two-months old, Dlan was diagnosed with retinal dystrophy and considered blind. 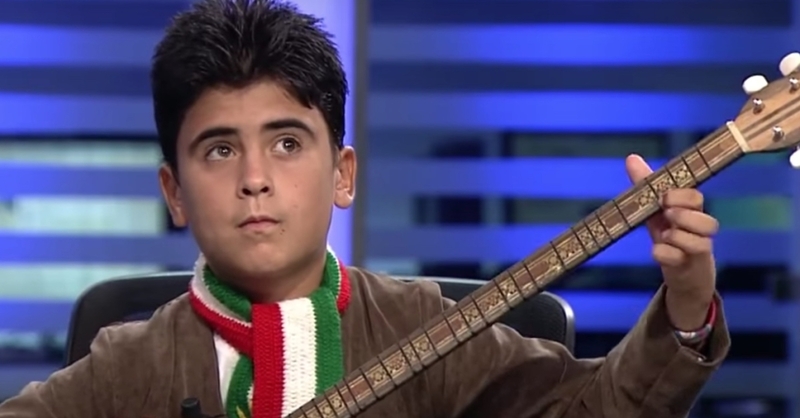 Influenced by the famous blind Buzuq player Said Gabari, Dlan’s father wanted a similar path for his son. At age 4, Dlan started to take private Buzuq lessons and within two years, he was recognized for his talent and made his first appearance on a national TV. Dlan continued learning on his own and expanded to other instruments. Dlan fled Syria with his family to Iraqi Kurdistan in 2013, where they lived in a refugee camp for three years. Dlan produced three songs about the hardships and suffering that he and his family endured in the refugee camp during that time. Dlan arrived in the United States as a refugee in November 2016 and settled in El Cajon, California. He is now attending school and hopes to join a professional musical institution where he can utilize his talent and collaborate with other musicians. 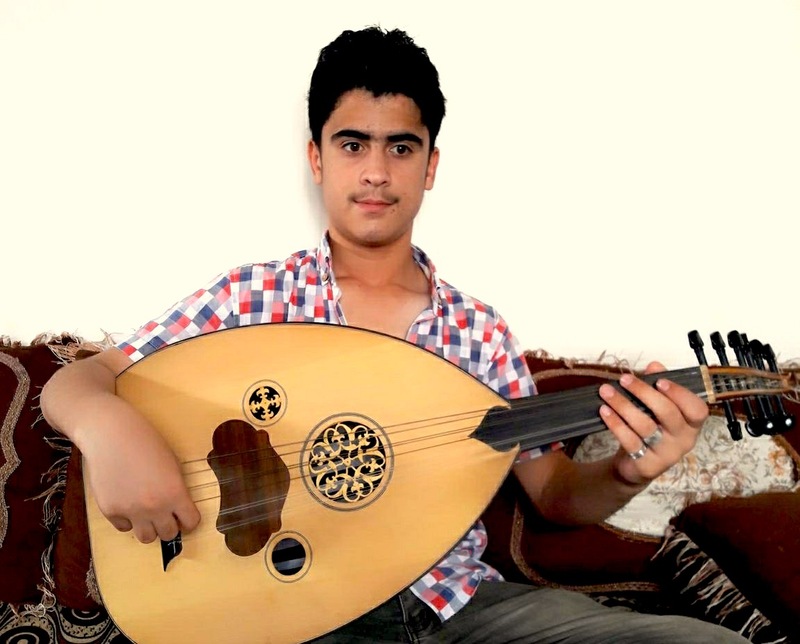 Dlan plays five instruments—including buzuq, bağlama, oud, darbuka and tanbūra—and is currently picking up violin and piano. To date, he has released more than thirty songs, fifteen of which are his own compositions. Dlan will be joined by a keyboardist. Music House, led by Fouad Sawa, will be presenting five musicians performing traditional Arabic music. Fouad Sawa was born in the city of Mosul, Iraq. He graduated from the Academy of Fine Arts in Baghdad, Iraq in 1991. Eventually, Fouad moved to Amman, Jordan where he lived for 11 years. In addition to working full-time, Fouad taught music and established Al-Salam Choir in Amman who performed and recorded several albums. Fouad arrived in the United States as a refugee in 2009 and settled in El Cajon, California where he started to teach music out of his home. 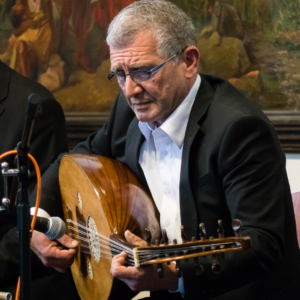 Fouad now teaches oud, guitar, and piano in a studio and is recognized as a distinguished Middle Eastern music teacher within the Arab and broader San Diego community. To date, Fouad has released over 120 records and currently teaching 35 students. Visit the Music House Facebook page to learn more. Alexander Khalil, Ph.D. is an ethnomusicologist, performer, composer, and research scientist at the Institute for Neural Computation at University of California, San Diego. 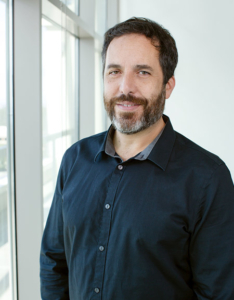 Dr. Khalil’s research includes the role of childhood music education in the development of temporal perception and language and performance practices in many countries including China, Japan, and Indonesia. He performs regularly as a cantor in the Greek Orthodox Church. Dedicated to arts education and the preservation of traditional music, Alex served as Executive Director of the Center for World Music for three years where he administered educational programming and events in schools and universities throughout the United States. View and share this concert on Facebook. This project was made possible with support from California Humanities, a non-profit partner of the National Endowment for the Humanities. Visit www.calhum.org. Any views, findings, conclusions, or recommendations expressed in this program do not necessarily represent those of California Humanities or the National Endowment for the Humanities. This project was also made possible with matching funds from the Peacemakers Fund and help from the San Diego Refugee Forum, San Diego Newcomers Support & Development Programs, and the International Rescue Committee.